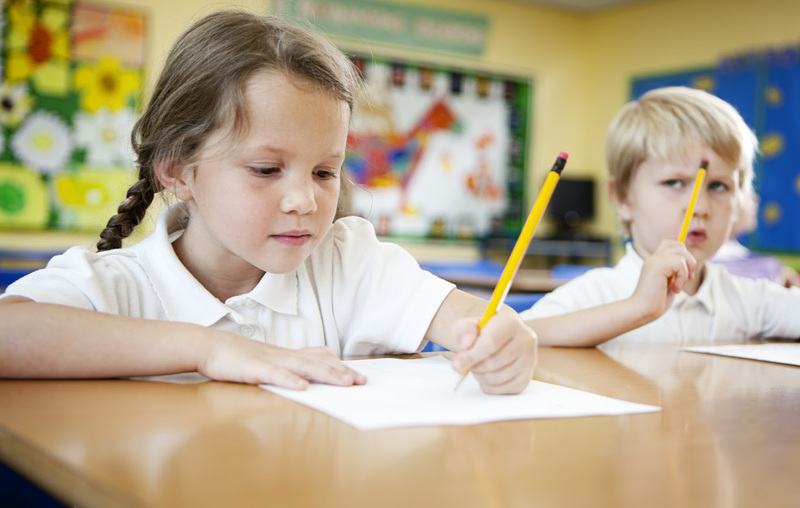 Dictating Sentences, do students need automaticity in spelling too? Few teachers realize how similar spelling and math facts are. Both spelling and math facts are tool skills. Tool skills are things which one needs to do academic work, tools you use to do other things. The tool skills of spelling and math facts (like decoding) need to become so automatic that students don’t have to think about them. If students have to think up the answer to math facts, it makes doing computation harder. The process of figuring out a math fact distracts from the mathematics being done. Similarly, if you have to stop and think of the spelling of a word (like the boy pictured above) while you are trying to write, it distracts you from thinking about what you are trying to write. Students are more successful and better able to show what they know and better able to focus on learning when their tool skills have developed to the level of automaticity.